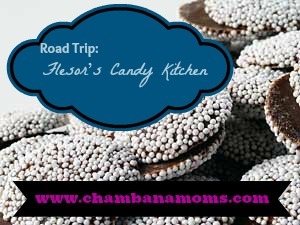 Before we landed here in the Great Middle West, I had a fantasy about what it would be like to live in a small town, and if you want to know what that fantasy looked like, go visit Flesor’s Candy Kitchen in Tuscola. 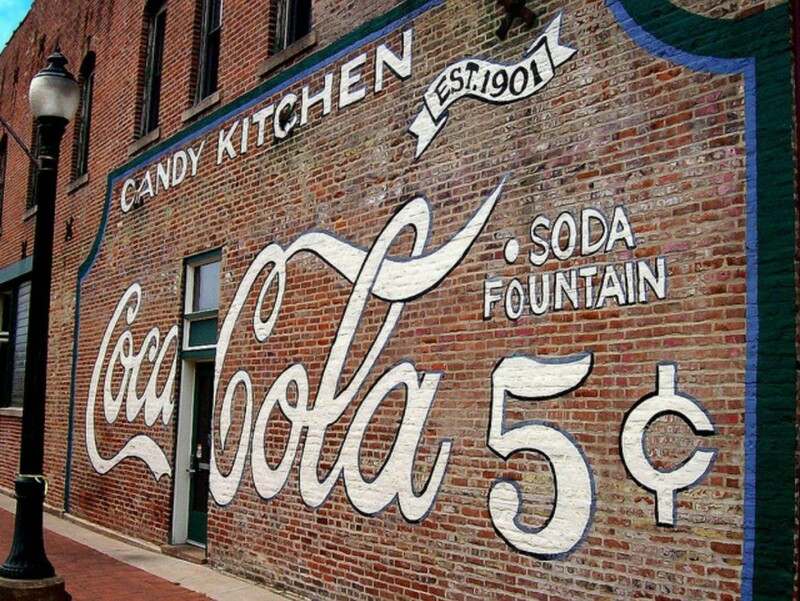 Located a hop, skip and jump from the Outlets at Tuscola, Flesor’s Candy Kitchen is a genuine old-fashioned soda shop transported to the present by time machine, courtesy of owners Ann Flesor Beck and Devon Flesor Nau. The two sisters revived the shop, previously owned by their grandfather, Gus Flesor. He opened the eatery shortly after he emigrated to Central Illinois from Greece. In 2004, Beck and Nau reopened the shop — and with it, their family tradition of candy-making and homemade ice cream. The building itself is worth visiting, just to get an eyeful of the gorgeous tin ceiling and original soda fountain. Settle in for lunch or an early dinner, and treat yourself to such old-fashioned comfort foods like hot dogs and potato soup. My favorite menu item is a nod to the family’s Greek heritage: spanikopita and a Greek salad. Kids will love the food — who doesn’t love grilled cheese and chips? — but hands down, the best part of your meal will be dessert. Homemade ice cream with your choice of toppings (the turtle ice cream is my regular order) caps off the perfect Midwestern afternoon. Be sure to save room for some homemade chocolates or candy. Flesor’s makes divinity like your grandmother did, and if you’re nice they’ll let you peek inside the kitchen. You can watch the staff create confections on two marble tables, one of which is original to the shop. On top of all the edible goodness, you get to enjoy some of that fabled Midwestern hospitality. We always have the same waitress, and we always get a visit from one of the owners. They check on us to make sure we enjoyed our meal and pinch our kids’ chubby cheeks, still sticky with sweets. Flesor’s is a great place to stop for lunch when you need to make a trip to Old Navy or J. Crew, but don’t let the drive stop you from dropping in on any old day of the week, errands or no. Flesor’s does not disappoint.